← Just bought the Osir V1 Vented Fender Kit! Now that the OSIR fenders are ordered, I have to plan on loosing my side markers. What to do? It doesn’t bather me much, but I kind of liked to have them. So I thought, why not have the MK2 mirrors? They have turn signal indicators! A Google search and a talk with my Audi dealership have proven me they won’t fit. But hey! it doesn’t end there: 2 suppliers have modified the MK1 mirrors to include the indicators. But they are pricey. A) Reiger Mirrors, part number C00231627. (They are actually made by CULT: part no.E1036s and sold “on special” for 199 Euros) Reiger’s online shop displays them at 249 Euros. But local North American tuning stores sells them for 655$ US. 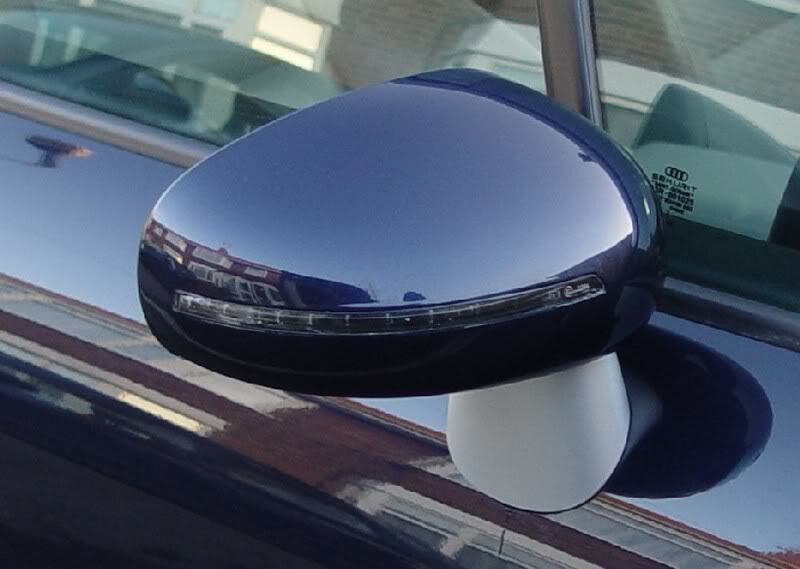 (Such as LLTek) They are unfortunately not an exact replica of the original TT mirrors, as they are bigger and of a different but similar shape. B) Naresh, a MK1 specialist that sells kits that he modifies himself. 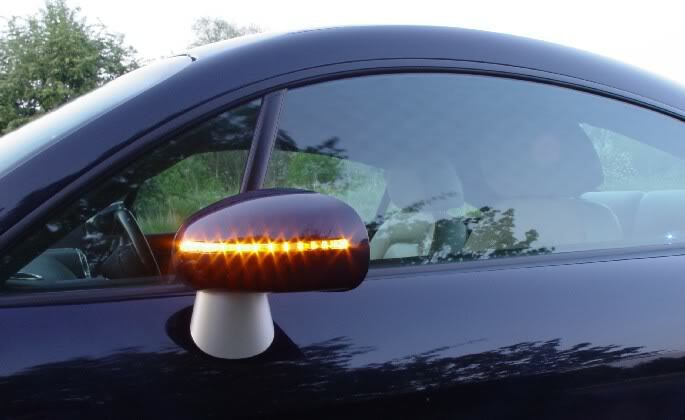 He inserts the LED car turn signal indicators into the mirrors and sells the complete kits for 320 Pounds. 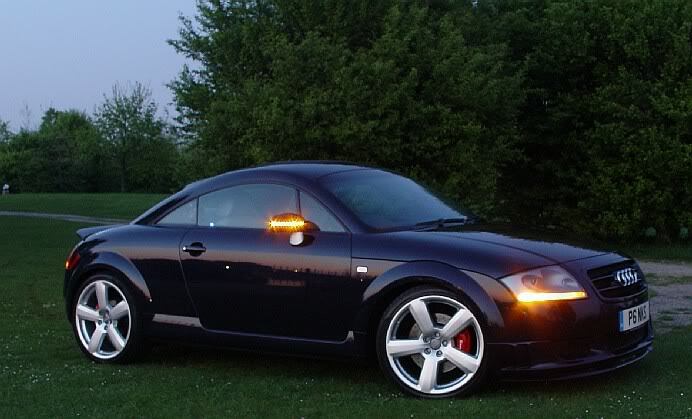 This entry was posted in Audi TT MK1 and tagged Body Kit, LED, LED Mirrors. Bookmark the permalink. How can I get a hold of Naresh to do some mirrors, tail lights for me? Ik zou ook deze neon verlichting in mijn buitenspiegels willen, waar kan dit laten doen. Where did you get those rims though??? To me they look like A4/A6 5 spokes. Are there any MK2 or MK3 lookalike mirror kits around? There should be some still around. Try Naresh on YouTube.